Balinese style painting in wooden frames handmade in Bali Indonesia by balinese craftsmen and handpainting by traditional Balinese painters. These wooden frame also for sale without the paintings. 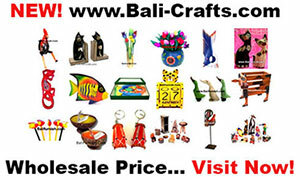 Buy wooden frame for painting direct from the wood craftsman and exporter company in Bali Indonesia. Coconut bowls from Indonesia. Coconut shell bowls from coconut crafts factory in Indonesia. Coco bowls wholesale price. Import coco shell bowls direct from factory Indonesia and enjoy our best price. Handmade and 100% real natural coconut shell bowls suitable for vegan food or breakfast. Durable and lightweight, natural materials, food safe and Eco-friendly. Organic coconut palm sugar from Java Indonesia. Also known as coconut sugar or palm sugar. Unrefined granulated coconut sugar. Pure and original. All natural without harmful chemical added. Certified organic, non GMO. Low on the glycemic index, suitable as healthy sweeteners. Organic palm sugar from Indonesia also known as Organic Granulated Coconut Palm Sugar. Organic coconut palm sugar from Java Indonesia. We provide both certified and non certified coconut sugar. Our organic certificate issued by Control Union for European market.